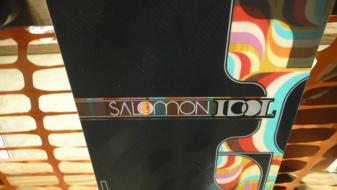 The Salomon Idol lives on the side of the mostly camber hybrid camber but has more rocker in it than some. It’s a pretty cool design for those that love camber and want a little more float in powder than a traditional board can provide. It’s a very good but very aggressive all conditions ride. The Idol is for women who like to tear down groomers and carve. It’s also good everywhere except the jib park. On Snow Feel: The Idol has a very aggressive camber type of feel with just a hint of rocker. It had that camber feel that is so awesome on perfectly groomed runs. It’s got a ride the mountain hard and if you like stop in the jump park or pipe. Turn Initiation and Carving– Laying into a carve and making quick tight turns took a little work but that can be fun if you are an aggressive rider. If you are not, then you might feel this board is a lot of work. Powder: While the Idol feels like a camber board when it’s not dumping it has a unique feel in powder. The big nose/tail and little bit of rocker after the binding section makes the Idol more than a camber board when it gets deep. 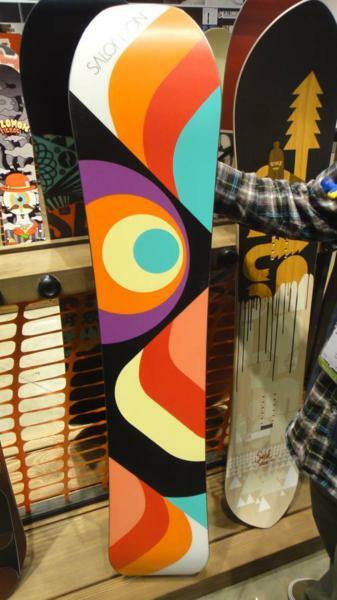 It has a good float in powder that isn’t effortless but it’s much better than a camber board of the same shape. Speed: The Idol is closer to the border between good and excellent but it’s a fast board. 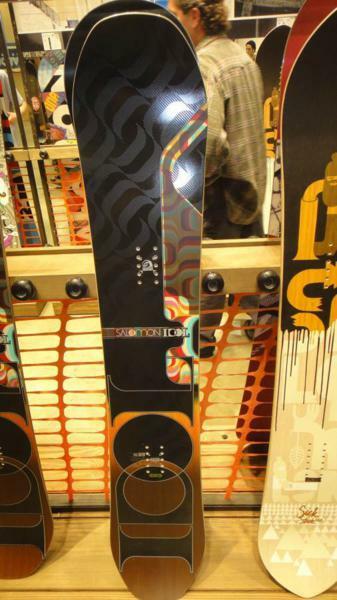 We had no problem at any speed and like most high end Salomon Boards, the Idol is happier at high speeds. Uneven Terrain: Its a little tough on the body when its bumpy and hard. I’d pair a good shock absorbing binding with this board for those days. When its softer bumpy snow its not bad. In chewed up and slightly rutted sections that require you to slow down and make good turns the Idol did better than we thought for its flex but it’s still not ideal. Weight- We didn’t really notice it as super light or heavy on the chair lift so it’s nothing to talk about but it’s also not a tank either. Edge Hold: The edge hold is good but there isn’t that limitless feeling of grip like you get with some boards. Flex: The medium to stiff flex is no butter board. Switch: The Idol has a good feeling switch and we had difficulty noticing the difference between regular and switch. Jibbing– The rails and jibbing world is not that open to the Idol. It’s a pretty stiff board so we wouldn’t go there. Pipe: If you like a stiffer board in the pipe the Idol will do a great job here. It has enough edge hold to get up and down an icy pipe wall without too much sketchiness. The little bit of rocker in the nose/tail also helps make the Idol a little more forgiving than an all camber boards of the same shape. Jumps: Again this is a stiff board but it has a lot of pop and can spring up pretty easy. If you like going big in the park, the Idol will help you do that. Even though this is hybrid camber it requires a technical approach like you are riding a camber board. If you are okay with that, you will like the way the Idol hits big kickers. We try to get as many images of the Salomon Idol, but forgive us if they're not all there. 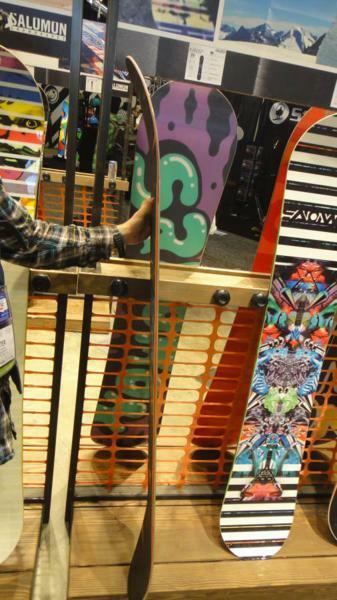 I had the chance to take the 2013/14 Salomon Idol for a spin and I gotta say I fell in love. 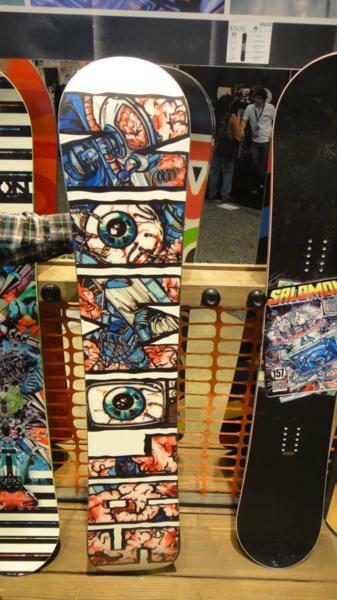 It carves super sweet, has no troubles to be ridden fast and holds an edge pretty solid, even in the super pipe. I was pretty sceptic about the Idol in the pipe as it seemed to be rather soft as well as slightly rockered. But it had good stability and that little bit of extra pop that lacks some of the stiffer boards. Initiating rotations is a dream with the Idol. Also in powder it has a good float to is and stands up for itself. Hitting cliffs and jumps was an absolute pleasure and the stiffness was perfect to bomb through moguls. 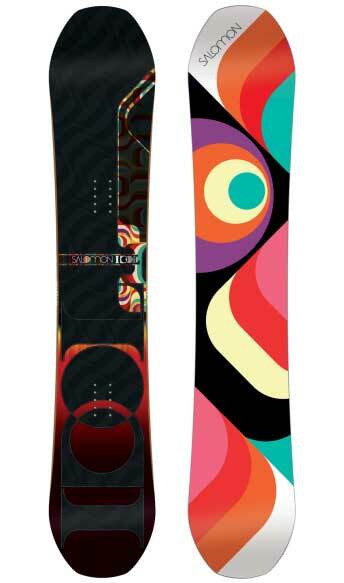 All in all I’d say it’s a great board for someone who likes to go fast and big. 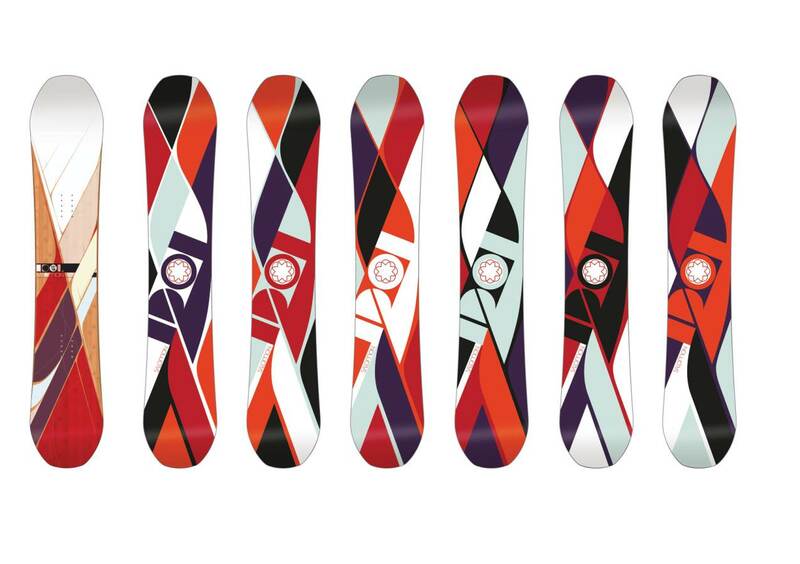 It’s a great all mountain board with playful touch to it. The only place where I could see it struggling would be an icy superpipe, but then again, that’s a challenge for any board.